I subscribe to “Daily Thought,” provided by the magazine Real Simple. It’s a thought that is sent to subscribers. I look forward to the beep on my phone around mid-morning announcing its arrival. With summer coming to an end, I decided to pause in my writing and share a few with you. 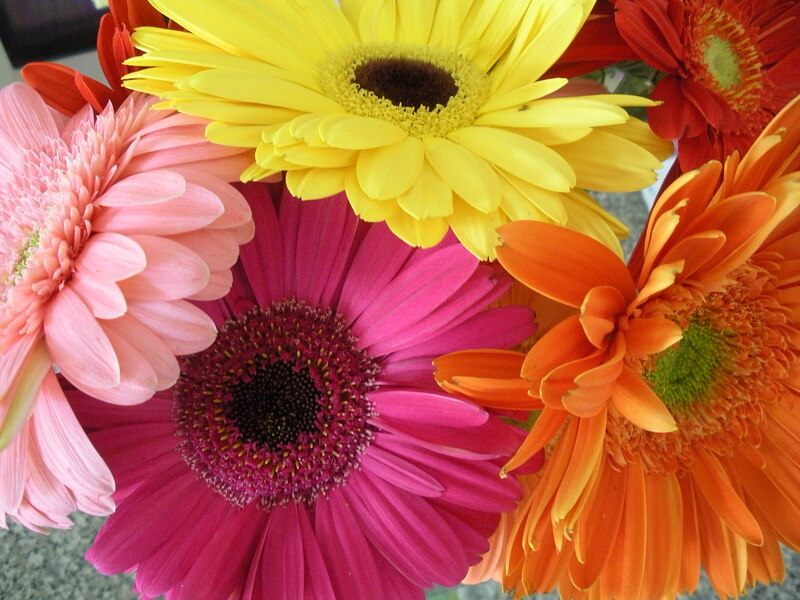 I hope they will make you smile, slow down and reflect. This past week I experienced a 5.8 magnitude earthquake and Hurricane Irene. 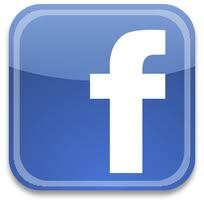 In both instances, I immediately went to Facebook and Twitter to see what was happening. With the earthquake, I discovered it was felt up and down the East Coast but that I was not far from the epicenter. I was able to quickly connect with friends who wanted to know if I was okay. I learned that there were no injuries but there was property damage at the center. I’m not alone in finding information out about disasters through social media. According to two new surveys conducted by the American Red Cross, Americans are relying more and more on social media, mobile technology and online news outlets to learn about ongoing disasters, seek help and share information about their well-being after emergencies. “Social media is becoming an integral part of disaster response,” says Wendy Harman, director of social strategy for the American Red Cross. Followed by television and local radio, the internet is the third most popular way for people to gather emergency information with 18 percent of both the general and the online population specifically using Facebook for that purpose. Nearly a fourth (24 percent) of the general population and a third (31 percent) of the online population would use social media to let loved ones know they are safe. Four of five (80 percent) of the general and 69 percent of the online populations surveyed believe that national emergency response organizations should regularly monitor social media sites in order to respond promptly. In the aftermath of Tuesday’s earthquake the Federal Emergency Management Agency urged people to incorporate social media elements into their natural disaster and emergency-preparedness plans. FEMA Administrator Craig Fugate told reporters that Tuesday’s earthquake demonstrated an over-reliance on cell phones during an emergency. Mobile networks were overburdened in the immediate aftermath of the quake as people tried to reach friends and family. Cell phone texting, however, remain unaffected and became a popular and reliable alternative. 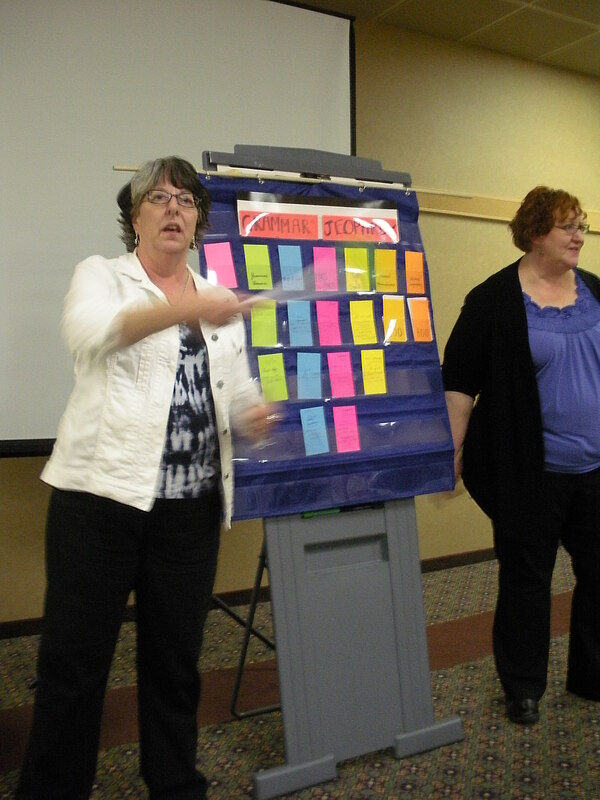 Susan Littlejohn and Jill Miller lead a round of grammar questions during a Kansas Professional Communicators seminar. I’ve participated in two Grammar Bowls during affiliate meetings in the past few months. As someone who took advanced grammar in college (one sentence required four sheets of paper to successfully diagram it! ), I thought I would be a great team member. Turns out I forgot some basics, as did my peers. Whether we’d been in the communications profession for 30 years or fresh out of college, we all realized there is much to keep straight. Kansas Professional Communicators is selling a little book called “Grammarisms,” which was written by Phyllis Spade and compiled by Shannon Littlejohn. It offers one tip for each week. Which vs. That. Which is Which? “That” introduces a clause that is integral to the meaning of the sentence. “Which” clauses can be cast out without damaging the core meaning. Read the sentence with and without the clause. Essential? Use “that.” Not essential? Read “which” as “witch,” and set the entire clause apart with commas fore and aft (equivalent to shunning the witch!). It’s flu season, do you feel badly? In a valiant effort to speak properly, we erroneously attach “ly” to a perfectly good adjective. Think it through: If we feely badly, our sense of feel is impaired. We’ve frostbitten our hands or callused our fingertips from keyboarding or reading Braille. We can hear badly (our auditory sense is poor) or see badly (poor eyesight) or read badly (deficient literacy) – but to express how we feel, it’s bad. Too bad. Next year, get a flu shot. Would you share your favorite grammar tip? The most powerful networking isn’t about meeting as many people as you can in the shortest amount of time. It’s about connecting with the people who can truly make a difference in your career or business. Today, that’s more important than ever. 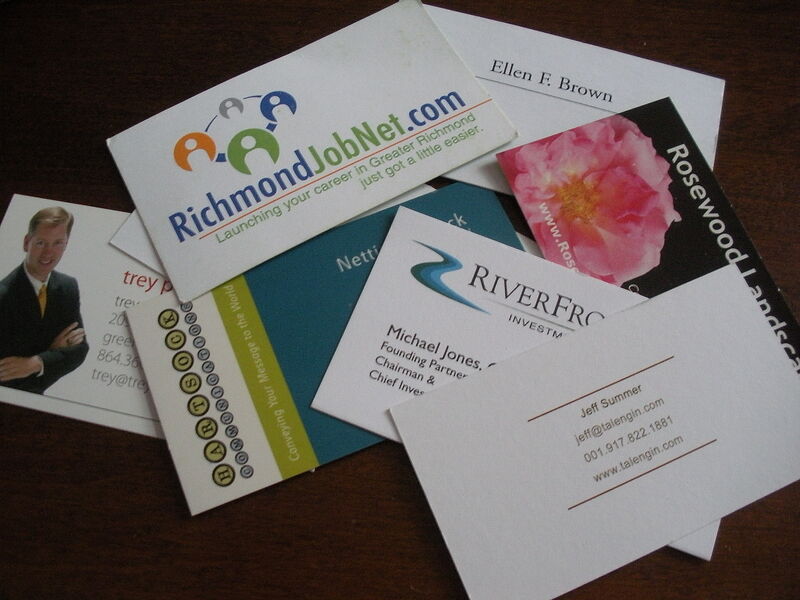 Business cards are key at a POWER Networking event. During the opening session of the NFPW conference, we’ll hold our first POWER Networking, a structured networking event that breaks away from the model of speeding from one person to the next and instead focuses on truly connecting with others. You will have the opportunity to build relationships by tapping into new resources, making fresh discoveries and uncovering prospects and leads. Bring plenty of business cards and promotional materials and get ready to seize the moment! Because we’re doing it at the start of the conference, it will be a great way to meet many members at one time. Then throughout the conference you can follow-up on the conversations that were started during the networking event. Never has networking been this fun and this rewarding. To get ready for this exciting event, be sure to bring plenty of business cards and any promotional materials you would like to share. If you’re searching for a job, bring your resume. If you want people to remember your business, bring a company give-away. How will POWER Networking help you? 1) You’ll meet lots of members quickly. 2) You’ll build your network. 3) You’ll learn about each new connection as both an individual and professional. Be sure to follow up with the members you meet to cultivate the relationships and expand your influence. The initial interaction is only the starting point for each of your new potential relationships. If you can’t make it to the NFPW conference, why not try this at your fall affiliate meeting. Call me old-fashioned but I think we need to reinforce etiquette when it comes to mobiles and, in particular, smartphones. A recent report shows that the United Kingdom is addicted to the devices, and I know the same is true in theU.S. 1) Smartphones may not be used during mealtimes. According to the survey 22% of adults and 34% of teens say they do this. Seriously, you can’t get through a 30-minute meal without your phone? Why not converse face to face? 2) Smartphones may not be used in bathrooms. The survey reports that 22% of adults and 47% of teens do this. I recall one time I walked into a bathroom during a conference break and a person was chatting away on the phone in the stall. Is no place private? the person who is ringing up my purchase. And I don’t like it when friends ask me to hold on while they finish the transaction. I always ask them to call me back when they are free. The survey also noted that 51% of adults and 65% of teens say they have used their smartphone while socializing with others. Almost any time I see a group of teens, they are talking to each other and texting. I don’t see that changing, and they seem comfortable with it. But I hope we don’t lose the fine art of conversation. 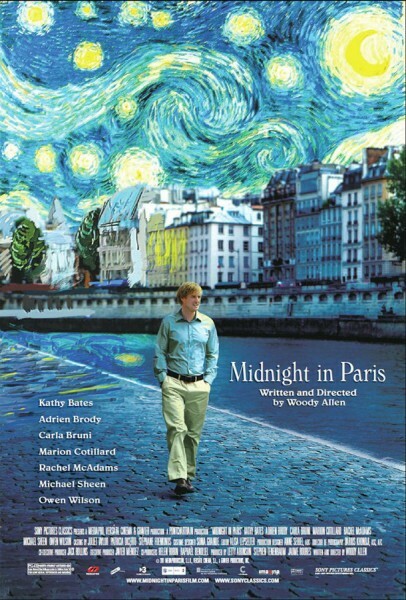 The movie "Midnight in Paris" reminds us to converse face to face. In the movie Midnight in Paris several scenes take place in Gertrude Stein’s salon. These gained prominence for their lively intellectual conversation in the fields of arts and letters. I may be like the other 37% of adults who are highly addicted to their smartphones, but I still want to have that lively conversation face to face and not through a phone. I’m not giving up my phone, but I’m going to practice good etiquette when I use it. Jeff Porro is an award-winning speech writer, who recently shared some tips about writing a good speech. 2) Encourage the speaker to share his stories. 3) Put some drama into the speech. He describes a successful speech as a spicy stew. It has to convey content but it also needs to capture the personality of the speaker. Add in a dash of extra elements, and Jeff says you have a recipe for success. Here what else Jeff had to say in this video. Contests are a great means to showcase your talent and expertise. Not only do you receive feedback from judges, but earning an award gives credibility to your work. How can you improve your contest entries and your chance of winning? 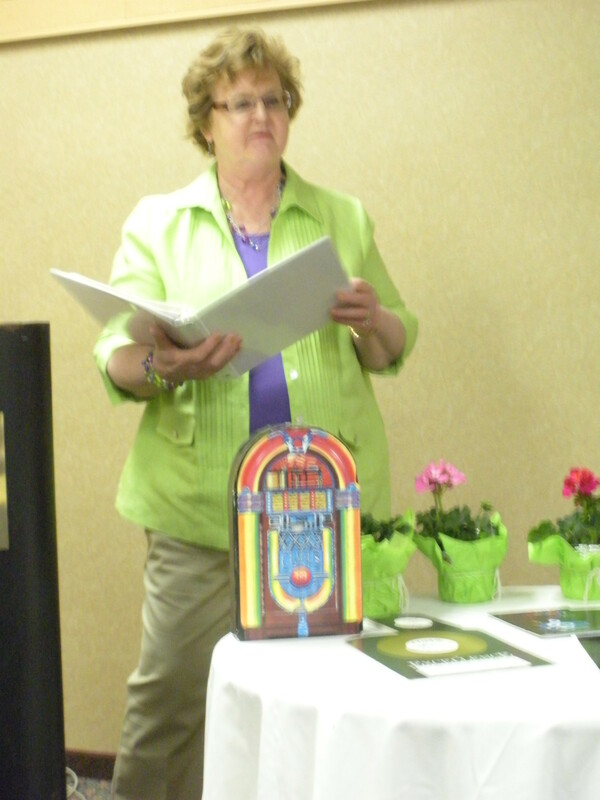 Cecilia Green of Illinois Woman's Press Association shares tips for entering a contest. 1) Be passionate. Pick the project or article that you worked on that you felt passionately about. “If you feel passionate about it, it was probably excellent work that had an impact, something that judges look for,” says Cecilia. Volunteer work counts, too. 2) Follow the instructions. “People don’t follow the instructions,” Cecilia says. “You don’t want to be disqualified because you didn’t follow the instructions.” Use a highlighter to mark “must do” rules, including deadlines and fee. Make sure you submit your entry in the correct category. 4) Capture your work while it’s available. Pay special attention to Web and other electronic media category rules so you can capture the work while it’s accessible. 5) Give yourself twice the time you think it will take you to prepare your entries. Some entries require write-ups and extensive documentation that can take several hours to prepare.